Step 2 Cut the tomatoes in half lengthwise. Set aside. Remove the papery outer skin of the garlic and chop the cloves into tiny pieces. Set aside. Cut the basil leaves into small pieces and set aside. In Recipes-list.com we have selected the most viewed recipes from category - Main courses Vegetarian . Enjoy the best recipes specially selected for you! 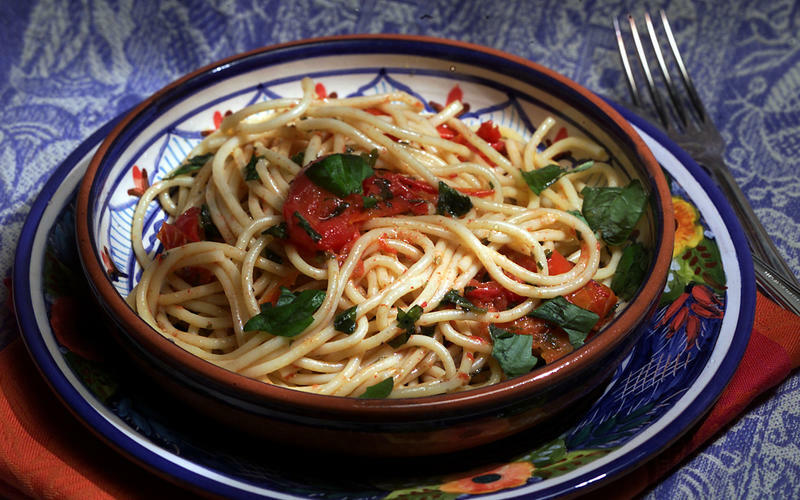 Spaghetti With Tomato Sauce is the right choice that will satisfy all your claims.